That is where we are at this morning also. 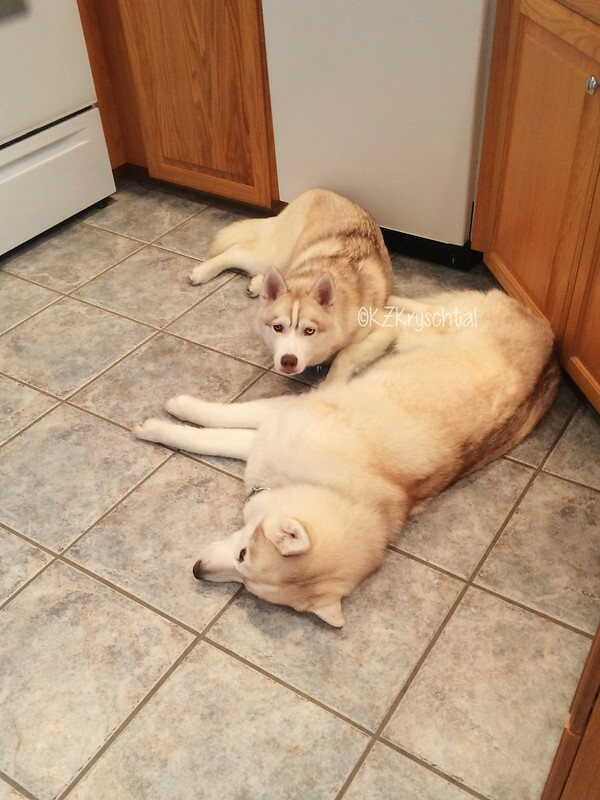 ahhhhh cool tiles - that is our favorite place to rest too. Did somebody rattle the treat bag? Enjoying naptimes! More energy for zoomies. We do a lot of those here. It's been a hot summer for us. LOL we can see you are hard at it. Have a wonderful Wednesday. Did you hear the Cold Box door opening? You're always on alert Mags! Glad somedog is! OMD I have missed you so much. My Daddy is home and I am back to blogging. I wish I was snugging right in there between you. Go away Mama, we are sleeping here! Are you waiting for Cammie to wake up so you can play, Maggie? Love this, it reminds me of Hunter and Lily. Hope you have a great evening! Is Mama ready for another walk Maggie?? A nice cool floor. Hopefully you were able to carry on with your nap.